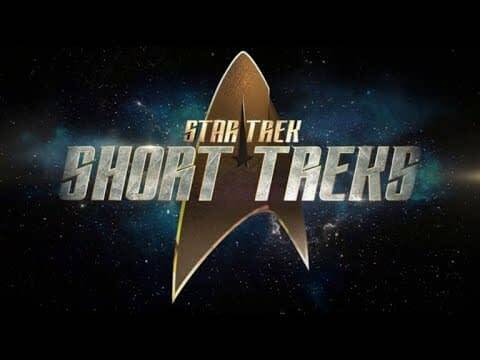 We know that CBS and CBS ALL ACCESS is looking at expanding their current slate of Star Trek on the streaming service, and apparently that’s going to be starting with a set of 4 shorts called Star Trek: Short Trek. Three of the four stories will center on a key character from the Star Trek: Discovery series including Tilly (played by Mary Wiseman), Saru (played by Doug Jones), and Harry Mudd (played by Rainn Wilson). Wilson will be directing the short about Mudd, as well. The fourth short will center around anew character- Craft (played by Aldis Hodge). Onboard the U.S.S. Discovery, Ensign Tilly (Mary Wiseman) encounters an unexpected visitor in need of help. However, this unlikely pair may have more in common than meets the eye. Written by Jenny Lumet & Alex Kurtzman, and directed by Maja Vrvilo. After waking up in an unfamiliar sickbay, Craft (Aldis Hodge) finds himself on board a deserted ship, and his only companion and hope for survival is an A.I. computer interface. Teleplay by Michael Chabon. Story by Sean Cochran and Michael Chabon. Directed by Olatunde Osunsanmi. Before he was the first Kelpien to join Starfleet, Saru (Doug Jones) lived a simple life on his home planet of Kaminar with his father and sister. Young Saru, full of ingenuity and a level of curiosity uncommon among his people, yearns to find out what lies beyond his village, leading him on an unexpected path. Written by Bo Yeon Kim & Erika Lippoldt. Directed by Douglas Aarniokoski. Harry Mudd (Rainn Wilson), back to his old tricks of stealing and double-dealing, finds himself in a precarious position aboard a hostile ship – just in time to try out his latest con. Written by Michael McMahan. Directed by Rainn Wilson.